If you have any questions about the GALATEA information page below please contact us. GALATEA was once called project/yacht name Dat Helja. This 35 metre (114 ft) luxury yacht was created at Avangard Yachts (Ex Heliyachts International ) in 1998. Sailing Yacht GALATEA is a well proportioned superyacht. The naval architecture office which delivered this yacht's design work for this ship was Uscs and Heli-Werft. Luxury yacht GALATEA is a well crafted yacht that can accommodate a total of 6 people on board and has around 6 qualified crew. Uscs was the naval architect firm involved in the professional vessel design work for GALATEA. Also the company Uscs and Heli-Werft expertly collaborated on this undertaking. Built by Avangard Yachts (Ex Heliyachts International ) the yacht was constructed in Croatia. She was officially launched in Pula in 1998 before being transferred to the owner. A moderate area is brought about with a widest beam (width) of 7 m or 23 ft. With a 3.51m (11.5ft) draught (maximum depth) she is fairly deep. The material steel was used in the building of the hull of the sailing yacht. Her superstructure above deck is built with the use of steelandteak. Over the deck of GALATEA she is 33 (108.3 ft) in length. In 2006 extra refit work and modernisation was also performed. The D2866 engine powering the yacht is made by MAN. She is driven by a single screw propeller. The main engine of the yacht gives 460 horse power (or 338 kilowatts). She is fitted with 1 engines. The combined thrust for the yacht is thus 460 HP / 338 KW. The bow thrusters are Lewmar / Stern: Lewmar. Having quarters for a maximum of 6 visiting passengers spending the night, the GALATEA accommodates them in luxury. Normally the vessel has room for circa 6 able qualified crew to maintain and sail. 34.87 metres / 114.4 feet. Approximate Cruise Speed is 12 knots. 13 nautical miles per hour. Range in nautical Miles is 2800 at a speed of 12 knots. The yacht was built with Cruisair A/C. She has a teak deck. 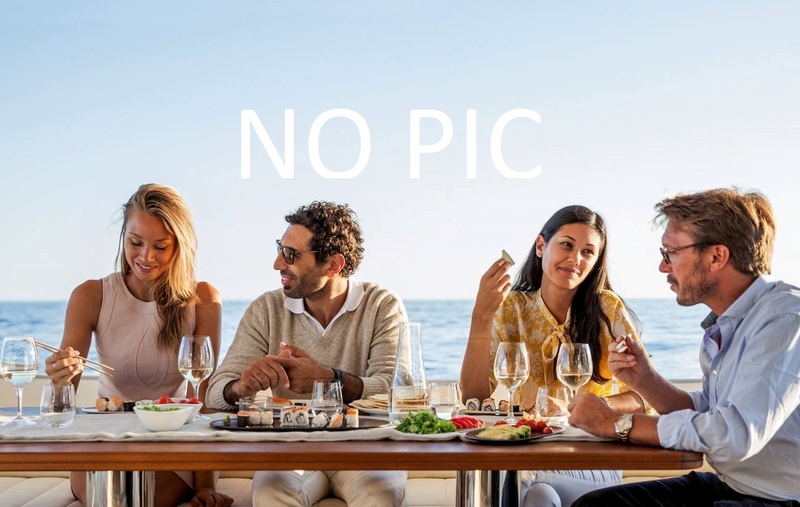 The luxury yacht GALATEA displayed on this page is merely informational and she is not necessarily available for yacht charter or for sale, nor is she represented or marketed in anyway by CharterWorld. This web page and the superyacht information contained herein is not contractual. All yacht specifications and informations are displayed in good faith but CharterWorld does not warrant or assume any legal liability or responsibility for the current accuracy, completeness, validity, or usefulness of any superyacht information and/or images displayed. All boat information is subject to change without prior notice and may not be current.